Can Do! is a comprehensive Primary Language Arts course developed by the Curriculum and Materials Development Unit of the Saint Lucia Ministry of Education. • Levels 1-6 Student’s Books provide guided listening and speaking activities, reading texts including poems, stories and letters, and grammar, spelling and vocabulary exercises and tips. Write-in Workbooks are provided for each level. 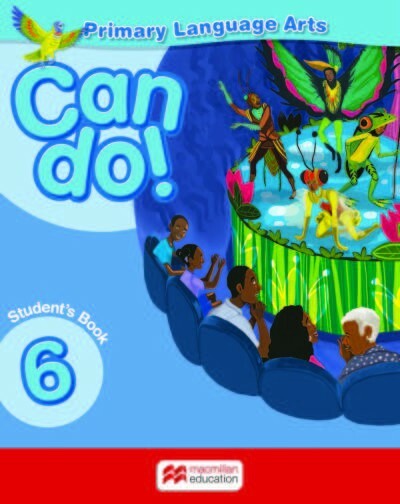 • Level K covers phonics, writing and Language Arts skills, supporting the Student’s Book. • Levels 1-6 provide teaching objectives for each page, practice exercises following the Student’s Book units and include lively artwork. Please note that this is an eBook version of this title and can NOT be printed. For more information about eBooks, including how to download the software you’ll need, see our FAQs page. It appears you don't have the ability to view PDFs in this browser. Click here to download the sample directly.